Did you know that Get to Know Your Customers Day comes around once every quarter? As a business owner, manager or staff member, it’s easy to get lost in the day-to-day needs of serving customers and keeping your business running smoothly. Use this third Thursday in January, April, July and October as a reminder to spark up a conversation with your clients. It's not just a nice gesture — it's the tried and true method for learning your customers' pain points, improving your products and increasing your customer lifespan. Ask (and reward) your customers for taking a brief survey. What are your patrons’ least favorite and most loved menu items? What can you do to make your services more convenient? Make sure to ask meaningful questions and thank your customers for their time with a small token of appreciation, like gift cards or discounts. Respond to negative reviews AND rave reviews. Sites like Yelp, Google and Amazon are endless sources of honest accounts — good, mixed and bad — straight from the hands of your customers. Prove that you’re listening to their concerns (and compliments) by replying to comments regularly. It only takes a couple minutes to share your contact information and offer to resolve problems. Consider asking longtime clients to leave a positive review, and thank them with a small reward. Use your customers’ names. A “hello” can make anyone’s day brighter, but adding a name shows your patron they’re remembered. Whether in-store, over email or on the phone, it’s a simple way to keep your customers from feeling like just another dollar or number in line. Use a name when you can — just avoid nicknames or overly familiar terms until you know the client well. Offer a loyalty program. 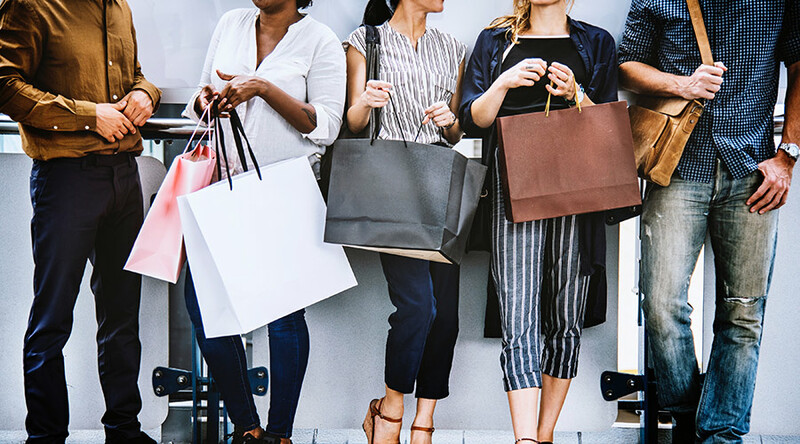 Besides encouraging repeat purchases and adding value to every transaction, loyalty programs are an easy way to see exactly what rewards actually motivate your buyers. What makes your customers' lives easier — a free 24-oz. shampoo or 30 percent off a haircut? Use this data to inspire future promotions and address your patrons’ pain points head on. Meet your customers where they are. Do your patrons frequent Facebook or prefer Yelp? Do they ask questions through your website, email or prefer to call in? To get a better picture of your customer base, direct your time and attention toward the social channels they use in their day-to-day. Another idea? Use the client management features in a POS system for real-time customer insights! Host an event and encourage them to get to know you. Relationships are a two-way street. Make yourself available every month, whether it’s 30 minutes or two hours, and invite clients to talk with you over coffee or snacks. It can be a casual chat or a networking event. You can also visit a customer at their business, or host a small event open to the community. Throw a Customer Appreciation event. The choices are endless — coupons, giveaways, personalized thank-you cards, social media shoutouts and loaded gift cards work well. Get your business name out there with “swag,” or business merchandise, with customizable items like totes, mugs, shirts and more. Keep the conversation going over email. Who doesn’t love a good deal or a thank you? Send monthly emails with discounts and limited-time offers, or a friendly reminder when they’re likely to need your product or service again. Communication doesn’t only have to be sales-related — you can also simply thank customers for their most recent purchase and ask for feedback. Offer discounts tailored to your customers. To personalize interactions even more, use common scenarios (birthdays, holidays, anniversaries or number of years as a client) to create targeted offers. You could comp a service or product for regulars and loyal spenders, or deliver special promotions based on city/state. Build conversation into your business practices. It's no secret that most business owners and employees are pressed for time, so set yourself up for success by creating social opportunities where it fits for you. Ask your employees to tack on a “How are you?” to their greetings. Add refreshments to your waiting area and pick one customer to chat with while you grab some coffee for yourself. Include a brief, kind message with your invoices or email purchase confirmations. It’s easier than ever to get to know what your customers are thinking, and the benefits are instant! Whatever you do, remember that a personal touch and great service keeps customers coming back longer than any expensive or time-consuming marketing campaign. more "bang for their buck" at your small business. At TransNational Payments, we're loyal to our customers! We offer a variety of convenient products and services like credit card processing and Full Service Payroll to give our diverse group of merchants the tools they need to grow their businesses. 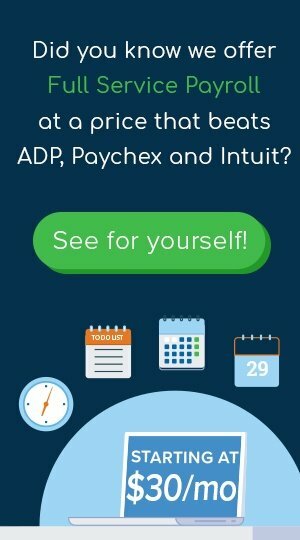 Switch to a more affordable payroll solution and use those savings to shower your customers with appreciation!